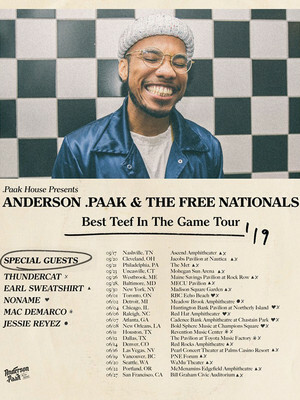 Not one to allow hardships to get the better of him, Californian born Anderson .Paak heads out on his Best Teef In The Game tour in 2019 in support of his brand new release Ventura. Accompanied by his Free Nationals band, .Paak brings his Grammy-nominated soul-filled, singer/songwriter infused rap to you. Born in Oxnard .Paak released his first album back in 2012 under a previous name, Breezy Lovejoy, however, it wasn't until his second album as Anderson .Paak 'Malibu', that the star started getting the recognition he deserves. With Dr. Dre as his mentor .Paak's music has received both critical and commercial acclaim, being named as one of XXL's freshman alongside the likes of Lil Dicky, Lil Uzi Vert and 21 Savage. 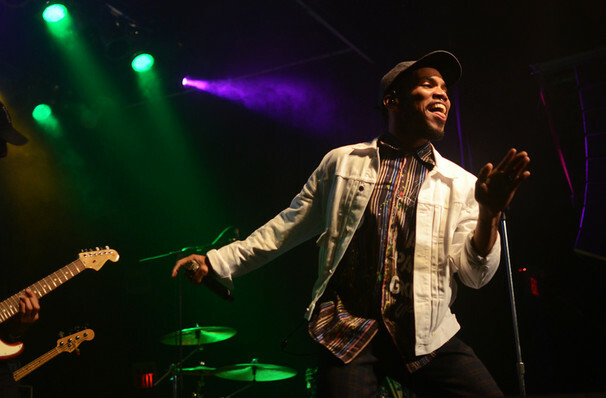 Don't miss your chance to see Anderson .Paak live! Sound good to you? Share this page on social media and let your friends know about Anderson .Paak at Coca-Cola Roxy Theatre. Please note: The term Coca-Cola Roxy Theatre and/or Anderson .Paak as well as all associated graphics, logos, and/or other trademarks, tradenames or copyrights are the property of the Coca-Cola Roxy Theatre and/or Anderson .Paak and are used herein for factual descriptive purposes only. We are in no way associated with or authorized by the Coca-Cola Roxy Theatre and/or Anderson .Paak and neither that entity nor any of its affiliates have licensed or endorsed us to sell tickets, goods and or services in conjunction with their events.